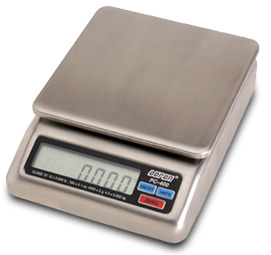 Scales are used in many applications involving food and restaurant chains. 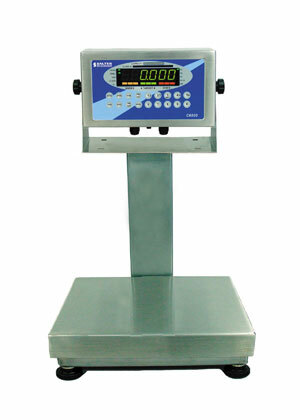 For years we've been providing customers with durable food service scales and weighing related products for the food service and restaurant industries. 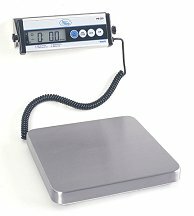 You can find items like Detecto Baker Dough Scales, Doran Bench Scales, Rice Lake Counting Scales, Brecknell Floor Scales, Chatillon Hanging Scales, Ingredient Scales, Portable Scales, CAS Portion Scales and Price Computing Scales, Yamato Accuweigh Top Loading Dial Scales and much more right here. Rugged - The PC-400 includes our field proven, exclusive "Quad Spring" base design that virtually eliminates damage from shock and overload. AC/DC - The choice is yours - use the AC plug-in power adapter, or the included internal rechargeable battery for portability. Wipe down safe, do not spray or immerse. Displays in lb:oz, lb, oz, kg, or g.
What would it be like to be in total control? Imagine saving at least 2.1% of your yearly ingredient costs. What would that be worth to you? Picture having an extra supervisor watching over your employees shoulders monitoring and controlling the formulation process. What effect would that have on your product consistency and production efficiency? Dorans FC6300 Formula Control System puts you in total control and can pay for itself in four months or less. In todays competitive marketplace, reducing production costs is a sure path to greater profits. 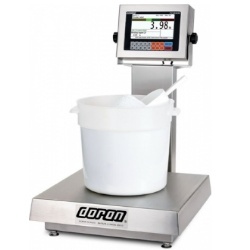 Dorans Formula Control has been guiding production plants along that path with ingredient savings of at least 2.1%even more. Combine lower ingredient costs with the elimination of the money wasted on bad batches, and you can understand why successful companies are investing in the FC6300 Formula Control System. Reduction of ingredient costs is easy to see, but the costs associated with bad batches are often overlooked. Like a dripping faucet, those bad batches can gradually drain your plants profits. Production downtime to clean production lines and discard the bad batch, along with cost of wasted ingredients, can add up.